Mr. Swonke's principal practice areas include oil and gas law, corporate structure and governance, and mergers and acquisitions. Currently and as Of Counsel, Mr. Swonke has negotiated and drafted oil and gas contracts with the governments of Africa, Argentina, Denmark, and the North Sea. Mr. Swonke also has conducted mergers and acquisitions of, among other things, domestic and international oil and gas properties. Mr. Swonke is also a Board member and Chair of the Audit Committee of ATP Oil and Gas Corporation, a Nasdaq licensed oil and gas corporation. 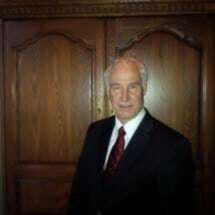 Mr. Swonke is a member of the Houston and Texas Bar Associations and the Texas Mexico Bar Association. He is also a member of the Association of International Petroleum Negotiators. He is licensed to practice in the Federal courts in the Southern District of Texas - Houston Division, the Eastern District of Texas, the Fifth and Eleventh Circuit Courts of Appeal, and the United States Supreme Court. Mr. Swonke has served as counsel member on the Houston Bar Association’s Oil and Gas Law Section and as the editor of such section’s newsletter.